It's March! That's amazing! We're on month #3, can you believe it?! My favourite book was probably Shadowsong! And my favourite blog post to write this month was definitely Romanticised Abuse in The Notebook. There are a lot of books I aim to read in March, but here's some of them ↑↑ And all of these are eBooks. 1: On Tuesdays, I'm going to be alternating between doing a Romanticised Abuse post one week and then a WIP Diaries post the next week. 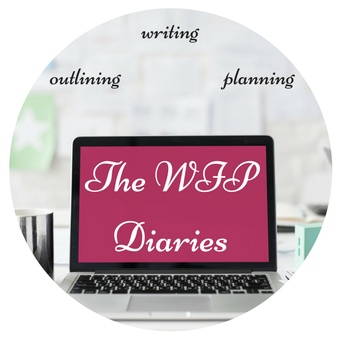 The WIP Diaries is a new feature I'm excited to be starting. The posts will be about my writing, my current writing projects, and I'll sharing snippets, Pinterest boards, aesthetics, and more! 2: I'm easing up on myself and will no longer be stressing about making sure I finish a certain book in a month and not having it overlap into the next month. I've made sure I've done that in the past because A) I'm OCD that way and B) It's neater and more structured, at least in my mind. But I've decided to try break out of that pattern. I'm gonna read when I want for however long I want and won't be worrying about overlapping anymore. 3: I need to cut down on how often I post. But what I really, really, REALLY want, is to hear what you guys think I should do: do you mind that I post literally every day? Would you prefer if I posted less often? Please tell me! Happy March! What are your plans for the month? Did you have a good February? What's on your TBR?